In this episode, Liz and Ivan talk with Professor Simon Gilroy to bust the myth that plant scientists are only motivated to feed the world. So, let’s get back to the basics! Simon has been a professor at the University of Wisconsin-Madison since 2007. 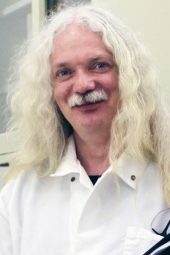 He completed his Ph.D. at Edinburgh in 1984 in Plant Biochemistry followed by postdoc positions at the University of California, Berkeley and University of Edinburgh. He was an assistant professor at Pennsylvania State University before joining Wisconsin-Madison. He also served on the Steering Committee and the Plant Biology Subcommittee of the 2011 NASA Decadal Survey on Biological and Physical Sciences in Space from the National Academies. We talk about his recent publication with Toyota et al. in the journal Science, “Glutamate triggers long-distance, calcium-based plant defense signaling” and how the videos of calcium spikes in plant leaves after damage caught the public’s imagination and led to his science celebrity status. The research was featured in National Geographic, Science Friday and the New York Times! Arabidopsis plants expressing a GFP-linked calcium sensor revealed rapid, glutamate-mediated long-distance signaling. Plants may have no nerves nor brains (“the big spongy thing on top of our heads”, as Simon would say) but they have a speedy signalling system! Simon shares his curiosity of how the world works, his enthusiasm for fundamental research and asking simple questions. We ask if it is okay to do basic research on taxpayer money and how the accumulation of ‘how this stuff works’ knowledge leads to the next breakthrough in applied science. We chat about how early career scientists could evaluate if basic or applied science is the next step for them. Simon suggests going for ‘whatever floats your boat’ (e.g. broadly: like cloning genes or going around rainforests in Wellington boots). The basic questions come naturally to him; hence his career path. A transcript of this episode, generously provided by Joe Stormer, can be found here. 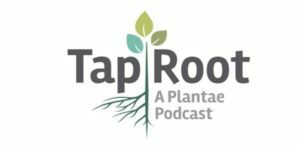 The Taproot is the podcast that digs beneath the surface to understand how scientific publications in plant biology are created. In each episode, co-hosts Liz Haswell and Ivan Baxter take a paper from the literature and talk about the story behind the science with one of its authors. Subscribe to The Taproot podcast on iTunes or Stitcher. Questions, feedback, suggestions? 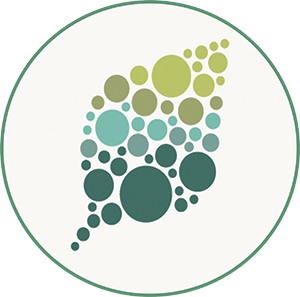 Contact us at taproot@plantae.org.